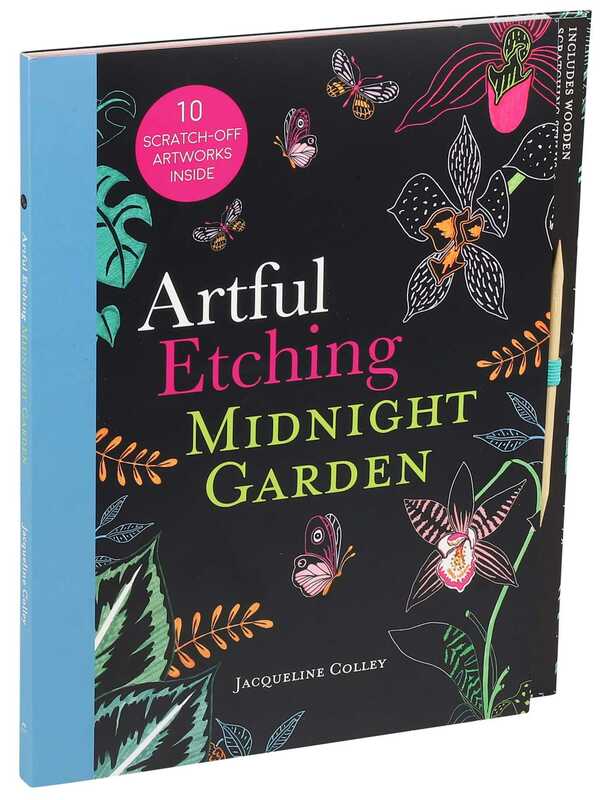 Scratch away the lines in Artful Etching: Midnight Garden to reveal the colorful flora and fauna hidden in the darkness. Etch the ten scenes in the book using the included tool to reveal colorful animals and flowers, resulting in gorgeous artworks. All the etching pages have outlines to follow, and it’s up to you to decide how much detail to reveal! An introductory section describes how to etch the scenes for the best results, and examples of finished pieces are included for reference.